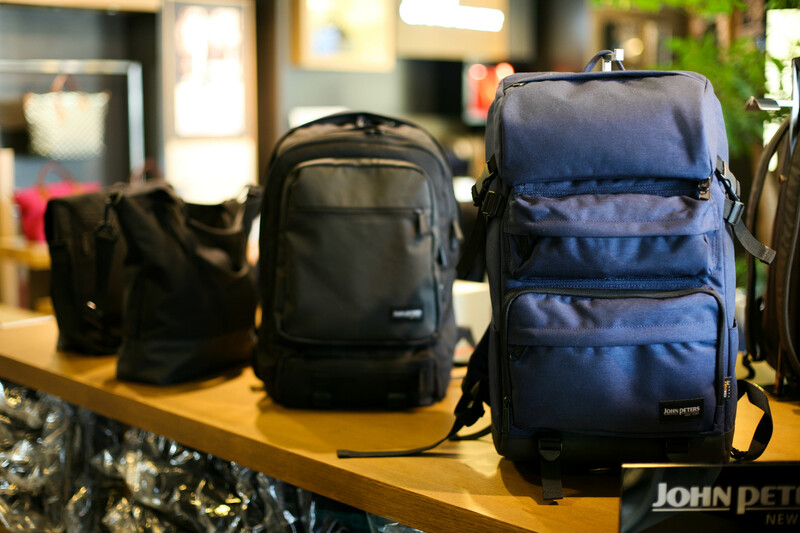 John Peters New York has been around for over thirty years, a considerable and admirable amount of time for a backpack brand. Designer John Peters started in the 1980s as a pioneer of backpack technology and hasn’t stopped since, continuing to research and develop his ideas for the most useful student and daily backpacks. So when John Peters New York comes out with a new model, it’s hard not to be excited, knowing that it’s coming from a very successful line already with so much history. The new 7010 backpack is one of John Peters New York’s biggest models to date, to keep up with the modern student who (unfortunately!) has more and more homework and more and more activities to deal with. The 7010, with it’s long size, square shape, and three extra outside pockets, is built to carry the world for you. The padded and reinforced shoulder straps and ergonomically designed back panel will keep you from breaking your back when you do so. Not only is the John Peters New York 7010 a great student backpack, it’s also a great — excuse the pun — backpacking backpack for shorter trips. Take it traveling, take it camping, take it trekking — the lightweight and water resistant cordura plus nylon won’t add extra weight. The balance is excellent and the extra hip strap will help distribute the weight. To find out more about the 7010, order your own, or browse the rest of John Peters New York’s great collection, visit www.johnpetersnewyork.com today! Share the post "The Newest John Peters New York Backpack"
Posted in Blog and tagged backpacks, camping backpacks, john peters, john peters new york new backpack, outdoors backpacks, school backpacks, student backpacks, trekking backpacks. Bookmark the permalink.